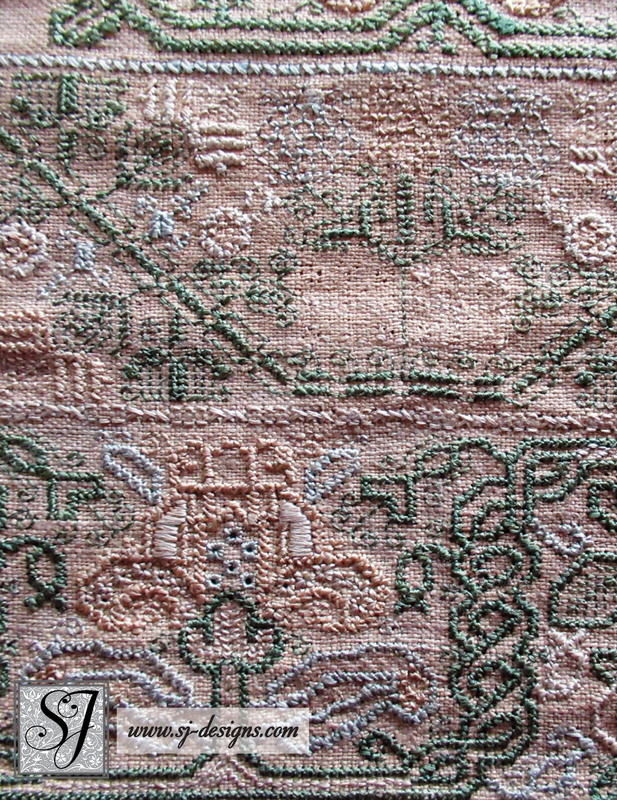 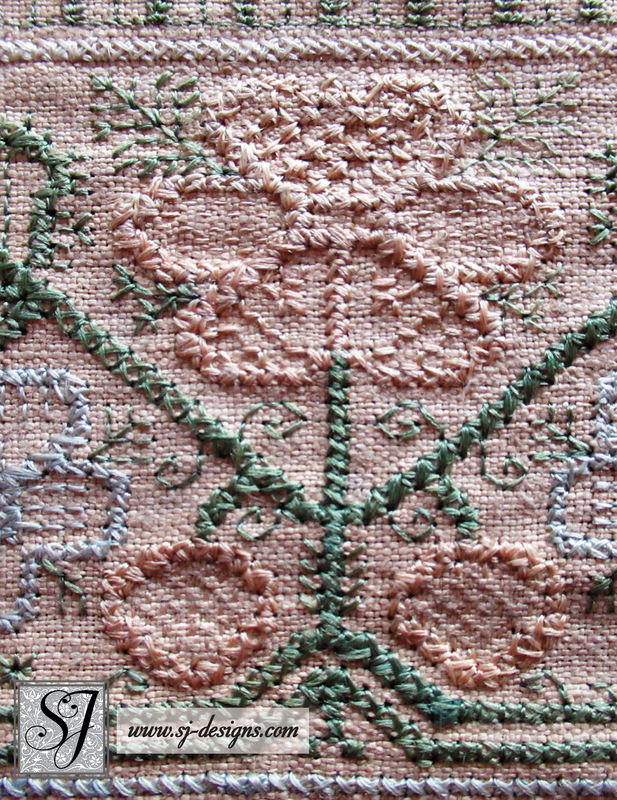 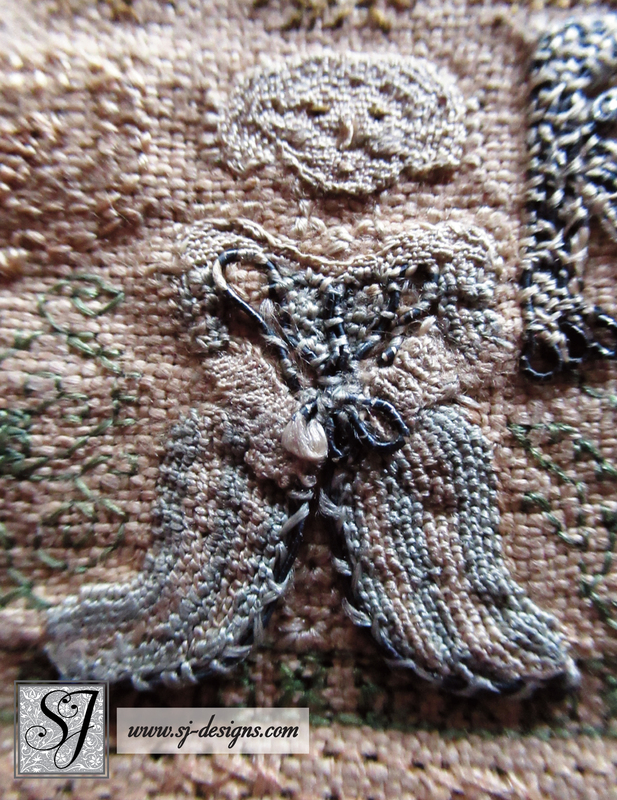 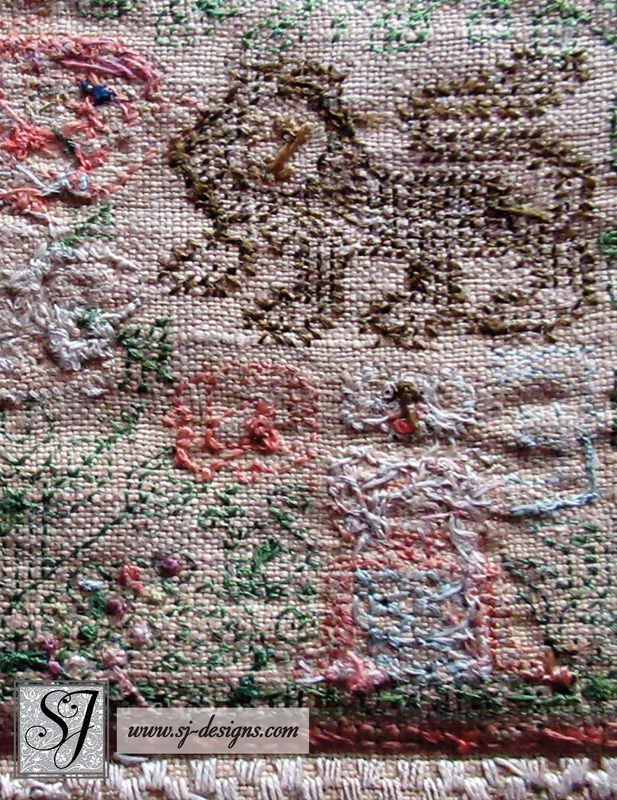 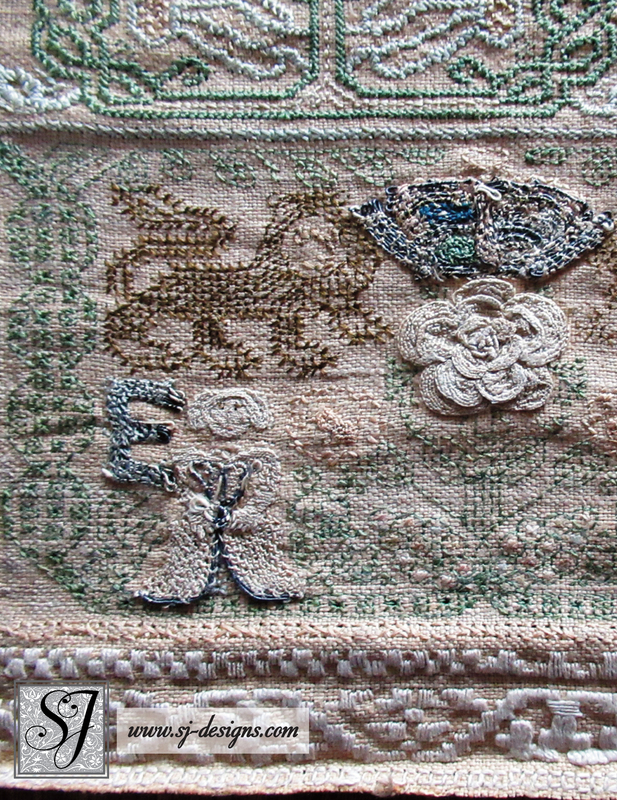 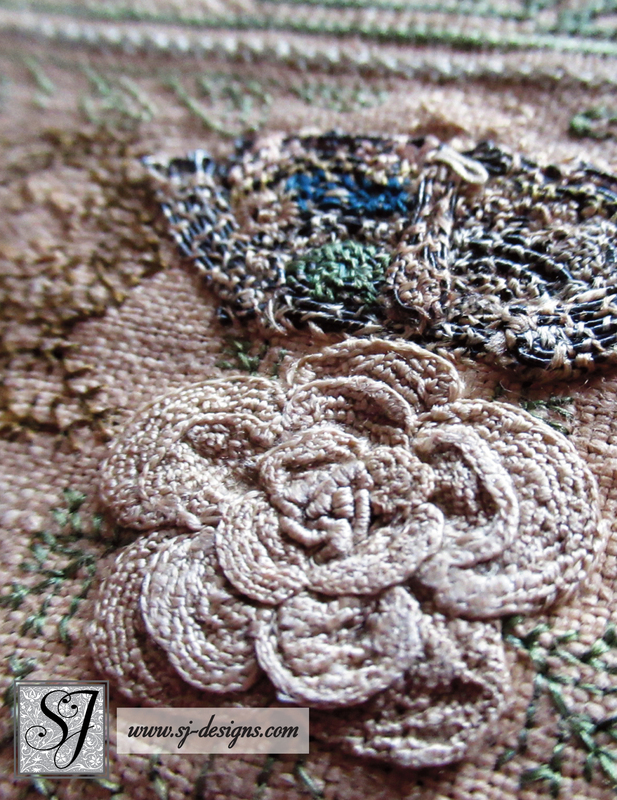 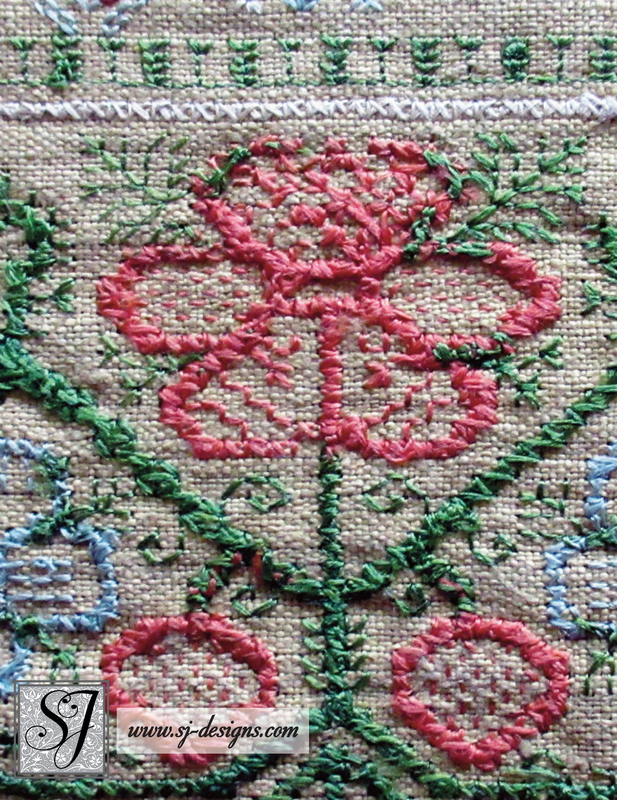 This extraordinary piece of history is a choice section of a classic English band sampler from the 1st quarter of the 17th century, and likely worked by a professional or court embroiderer. 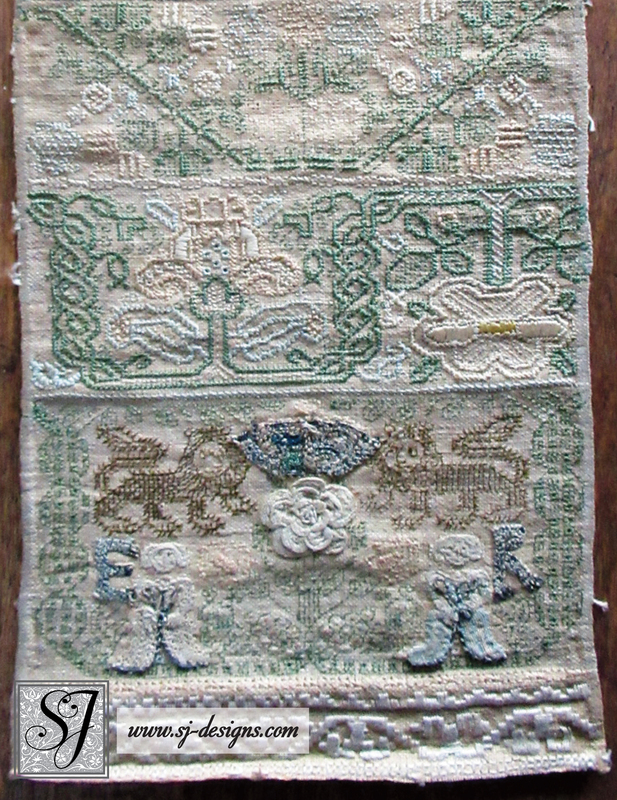 All the iconic motifs are included– a raised, multi-petaled rose, lions, court ladies in fancy dress, and “boxers” (the little figures with arms raised in a defensive posture). 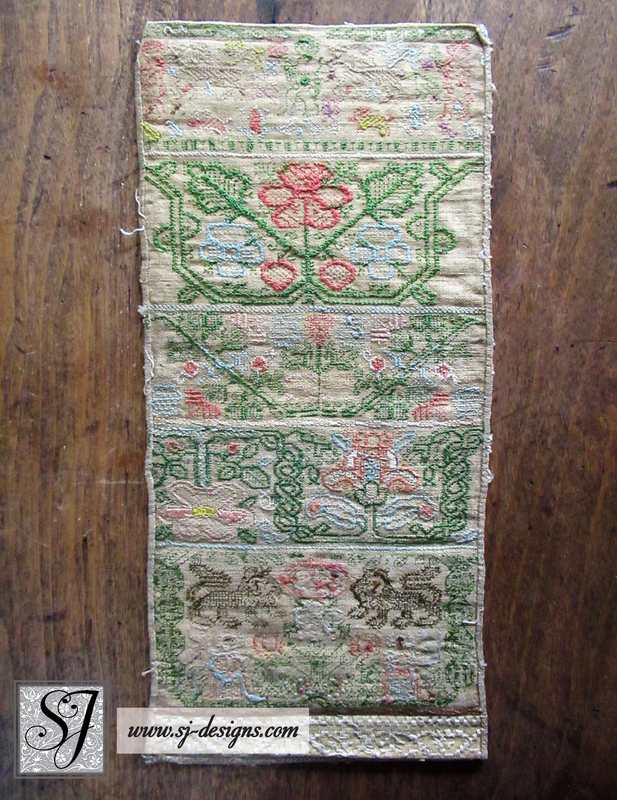 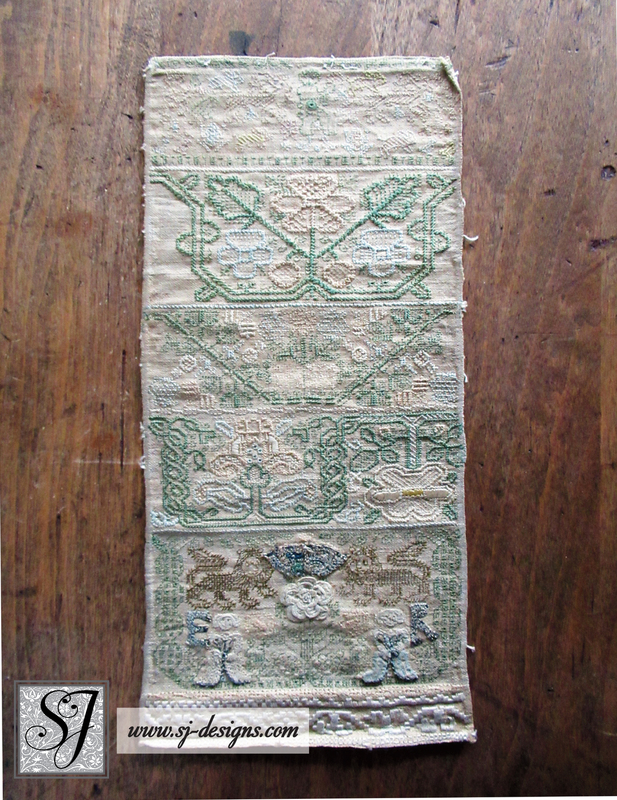 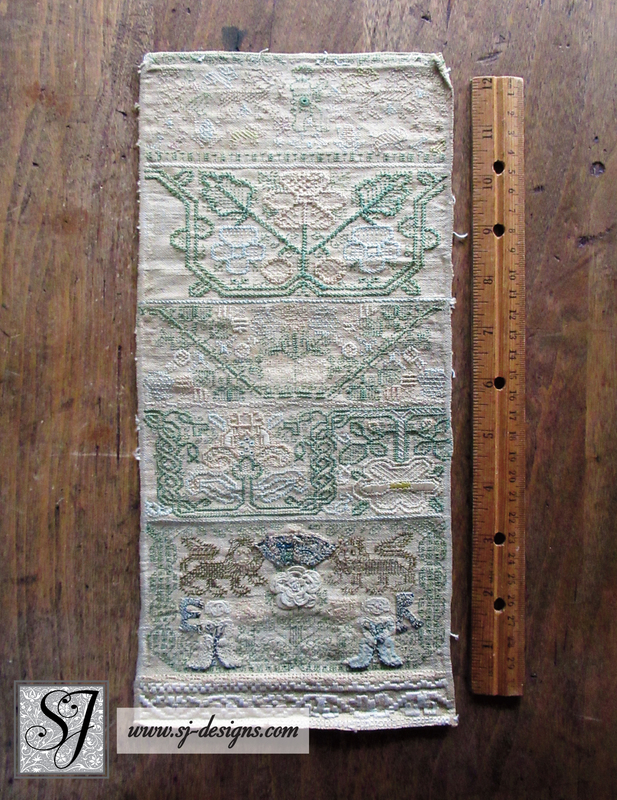 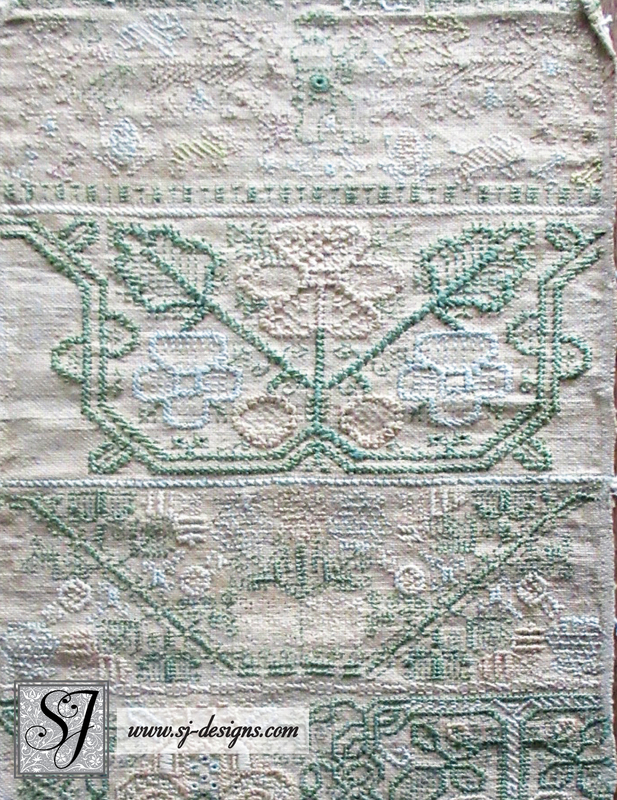 The entire original sampler probably measured 6 to 10 feet long; this portion measures about 6 by 13 inches.